Many of our products and systems involve the use of 2-Pack Products which can be complicated in their use, but well worth the time and effort. Once you understand a few simple "rules" of how to use these products correctly, this will help to make sure your painting experience is a resounding success. The mix ratio is the ratio of Part A (the base portion) that is mixed with the Part B (the converter or catalyst). Mix ratios are set to an optimum rate so that the paint cures well, and performs at its best. Users are encouraged to measure the volumes of the two parts carefully and accurately. Make sure the two separate components are well mixed before you decant any as it is important that each component is a smooth, homogenous blend before measuring / decanting. 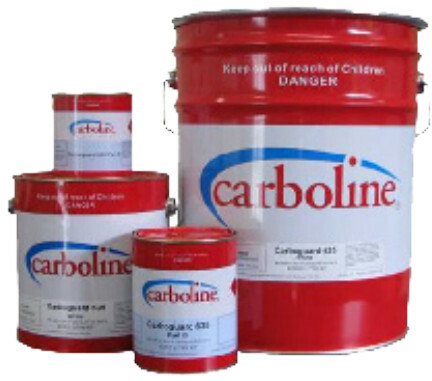 Induction time is the period of time, after mixing the components together, but before thinning when the paint is allowed to rest and start the catalysing process. Induction has a number of benefits and is highly recommended, especially in cooler temperatures. The "Pot Life" is the amount of time available (based on warm, 24°C conditions) to apply the product before it is too far along the cure process to still be useable. Always mix smaller amounts than will be needed in the course of the day. Even though a product may still be liquid, once the pot life has expired, discard the balance as partially catalysed product will not adhere and perform well. Thinning is usually required for most products (but not always, so check the data sheet). Thinning helps to achieve a nice even finish, without lots of brush marks, and it helps to control how much paint is applied. Thick coats are often the cause of problems. Dry times are based on the prevailing temperature at the time, the thickness of the coating applied and ventilation. Applying the next coat of paint before the previous one is cured (hard dry) is not advised, as generally this will slow down the cure of both layers, and can lead to solvent entrapment - a condition where the solvents just cannot get out of the film, and this results in premature failure of the coating system.